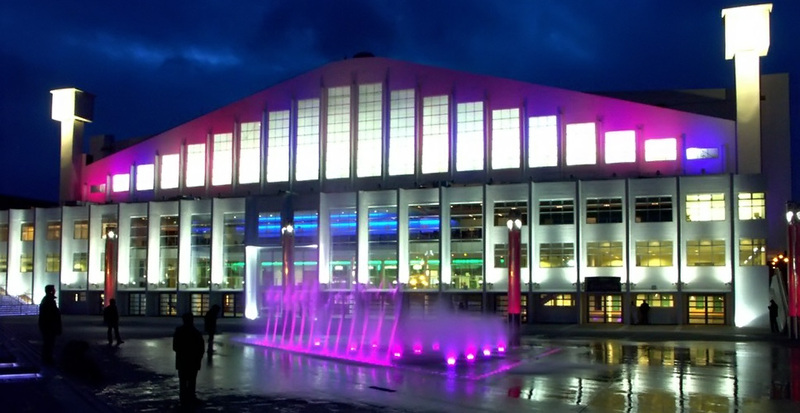 Arguably London’s best known concert, music and events venue, Wembley Arena is an iconic building with a history spanning 80 years – a heritage which makes a night at the Arena extra special. To add to the sense that you’re experiencing a night to remember, why not book a Wembley Arena chauffeur service and really enjoy your evening to the full? Having played host to the last London Olympics in 1948 and already earmarked for a role in the 2012 games, Wembley Arena is today most famous for its top flight concerts with everyone from Madonna to Prince to Stevie Wonder having took to the stage in recent years. As well as music, the venue also plays host to world class sporting events making it a must-visit venue for anyone with an ear for music or eye for athletic prowess. Those travelling to London specifically to enjoy a concert often find that their hotel is quite a distance from the Arena. While the stress of being forced to navigate an unfamiliar city alone can take its toll, there is the added concern of getting lost and missing the start of the long-awaiting concert or performance. A Wembley chauffeur service by contrast promises to leave you with nothing but pleasant memories of your time in the Capital. Rather than worry about arriving late, how you’ll get to the Arena and whether or not you’ll find suitable transport back to your accommodation after a late finish, you can dance the night away and sing at the top of your lungs, safe in the knowledge that your Wembley Arena chauffeur awaits outside. With over two decades of hands on experience to our credit, our professional chauffeurs know London like no-one else. Familiar with the traffic and one way systems and kept up to date with jams and delays thanks to advanced traffic monitoring, our Wembley Arena chauffeur package is also the most relaxing, convenient and efficient way for residents to enjoy a special evening out. We know that for many, a concert is simply the start of the evening and after breathing in the electric atmosphere of a stadium full of happy fans, an early night is often an anti-climax. Your Wembley chauffeur will therefore remain at your sole disposal until you decide to call it a night. So, if you do decide to continue your evening at the end of the performance, you’ll be whisked away to your choice of bar for a nightcap or other venue to meet up with friends. However and whenever you decide to end the day, you can be sure it will conclude in the same level of discernible luxury as it started – with a courteous door-to-door service tailored entirely to your requirements. For small groups going to Wembley for an event, our modern Mercedes S Class limousine offers the ideal transport solution. With an extra long wheel base giving a spacious interior, your comfort is our top priority. That’s why each of our chauffeur driven cars boasts noise cancelling windows, sophisticated sound systems, sumptuous leather and wood interiors, panoramic roofs and individual climate control. It is our mission to ensure your evening is memorable for all the right reasons so if there is anything your Wembley Arena Chauffeur can do to elevate your enjoyment of the occasion, do not hesitate to ask. Our gold standard service is our hallmark and nothing less than your absolute satisfaction our reason d’être.